We live in a data rich world. As an engineer I know the power of data in the design and implementation of new urban spaces, iconic buildings and the infrastructure on which we all depend. Data also is a powerful force in helping us to protect the environment and it can be mined from a variety of sources. Since the Victorian times naturalists have collected data on the natural world. At the Environment Agency we continue to use local enthusiasts to track rainfall, which we use to feed into and support local projections of flood risk. But the advent of computing power and the Government’s move to open data means we can now all use data in a new and exciting way. The result is a more informed approach to improving the environment and protecting people. For the last 17 years the Environment Agency has used lasers in planes to map and scan the English landscape from above to help us carry out work such as flood modelling (data now available for everyone to use). The same information has been used to track changing coastal habitats and to help us use the power of nature to adapt to a changing climate. We've used our LIDAR height data together with aerial photography to inform the location and design of major coastal realignment sites. The award-winning Medmerry project, which created 183 hectares of new coastal habitat and protects 348 properties from flooding, was based on this data-led approach. Those who live near rivers or who use them for sport and recreation know the importance of getting up to date information on river flows. We already provide online services to the public so they can see current warnings and river levels information, but opening our data means everyone can get bespoke information through one postcode or location search. We are not the only ones seeing the power of environmental data. Data entrepreneurs know how to get accurate and easily accessible information to the public. And that means that we can all make informed choices. FloodAlerts provides a graphical representation of flood warnings and gives localised updates every 15 minutes and Flood Risk Finder app provides flood risk profiles on any property in England, both using data made available for public use by the Environment Agency. Our bathing waters data directs those who like to swim, surf or paddle with vital information on water quality. The Safer Seas Service app alerts water users when water quality is reduced at beaches and our bathing water data is also used by the Marine Conservation Society’s Good Beach Guide. We have a fascinating natural and social history in this country, and we are, quite rightly, incredibly proud of it. We also have an exciting technological future ahead, which is paving the way for improving the environment, bettering people's lives and giving huge opportunities for business and enterprise. This information is not the preserve of so-called geeks in darkened rooms. It will provide many opportunities for innovation and business opportunities in the future. It is already being used from things as diverse as online gaming, the siting of future energy and infrastructure projects, assessing the likely yield of crops based on their location. We've even seen how it could help wine makers to decide where best to plant vines. It is a fact of modern life that we - and more specifically perhaps the phones and tablets in our pockets and bags - are increasingly data hungry. Which is why I would encourage business leaders, entrepreneurs and others to open their eyes to the potential of open data. This will be an opportunity not just for growth and business but also to protect lives and for a healthy natural environment. 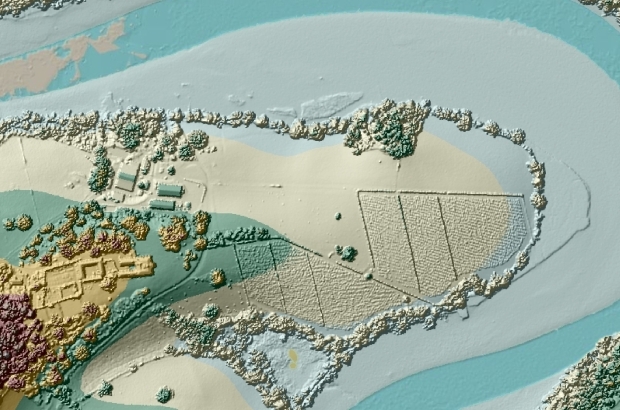 I have downloaded a LIDAR ASCII HSM file (it is about 25 MB) as I would like to establish the elevation above sea level for the region where I live (Berkhamsted, HP4). But I cannot get the ASII file to work (ie to map the area visually) in Google Maps or Earth. Many thanks for any help you can give. I find the Wikepedia link difficult to understand.